Founded in 1985 by Marcus Davis and called Battlezone Predators until 1986, The UK Predators won a few tournaments but in 1990 with their first European Championship win (Mayhem Masters Finmere 1990) this set the predators on a phenomenal winning streak of 5 European championships, Winning the Campaign Cup 3 times, the world 5 man championships, the only British Team to win a world cup in the states, beating the top American teams consistently in their own back yard, two consecutive 2nd places at World Cups, The world speedball championships twice, the first ever world Hyperball champions and from 1992 August until 1995 the team went unbeaten in 36 major tournaments, taking the Mayhem Masters by Maxing every game in 1993 a feat never repeated by any team. The team had a core set of players who played as a team for nearly a decade and finally retired at the top of their game in 1999. In the last three years The UK Predators have reformed with some of the predators from the 90’s coming out of retirement to have fun, Marcus (Muke) Davis, Sean (Monkey) Arnold, David (Lumpy) Guile, Stephen (Beally) Whyteleaf, Bart (Bart) Farmer and Mark (Twizz) Dale have been joined by Johan Strampraat and Koos Van Toast from Holland, Greg Andre Martin from france. Having started playing for fun again the competitive ethos in the team has led them to win the last 3 years of the UK Woodland masters series and this year picked up Nick Quincy, Josh Annelli, Luke Darbyshire and Michael Doak-Dunelly to put two squads in each round of the Woodland masters with the intent of taking the team to the states to play once again in a world cup on American soil. With Marcus Davis firmly back in the helm as captain, the team hopes to reward all of our sponsor’s belief in us and win and win and win. 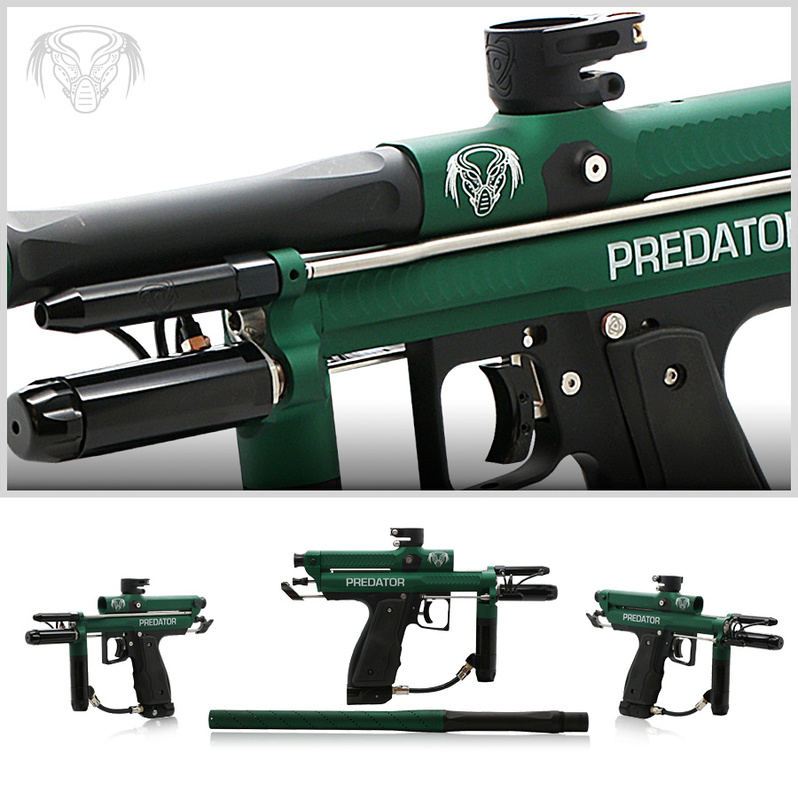 We have always used the best equipment and will continue to do so, this will aid us in our quest to be the best woodsball players once again. The first Real Professionals of the paintball game from the UK are Back. 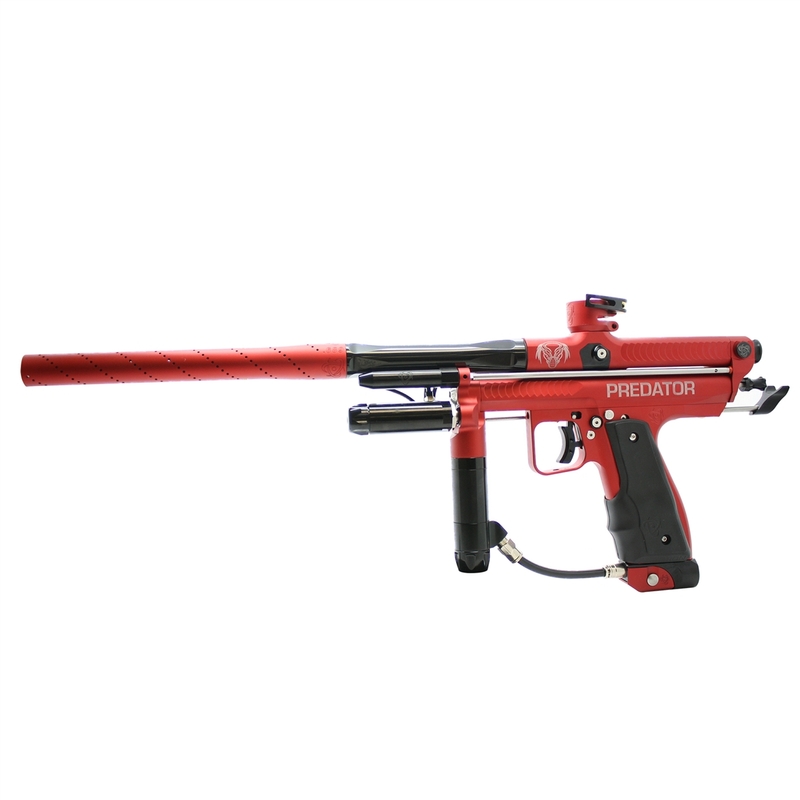 The RETRO Predator has the best pneumatics available. The Inception UFC-3Way, GTR-Ram and LPR. This combination is easy to tune, maintain and extremely reliable. The RETRO Predator comes with the Inception Designs Comfort Grips. They are made from soft rubber with a tapered mid-grip and a palm swell for exceptional comfort for a wide range of hand sizes. Included with this iconic gun is the proven Inception Stella Barrel Kit with color matched Slimline fronts in 0.689" and 0.697" bores with spiral porting. The kit also includes 5 Matte black backs in 0.675", 0.680", 0.685", 0.690"